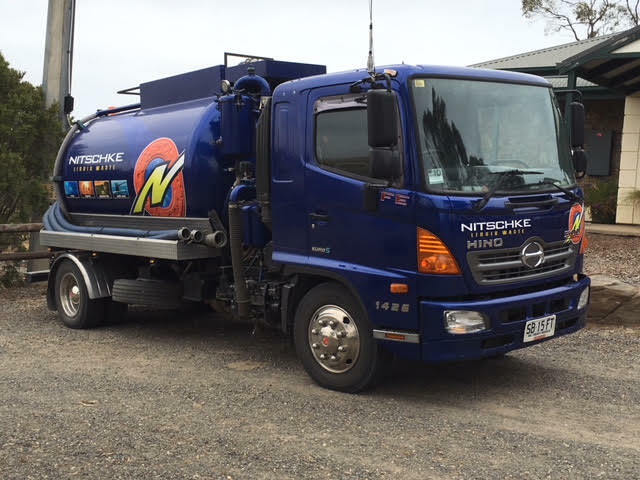 No matter how big or small the job, Nitschke Liquid waste has a vehicle and operator dedicated to you. 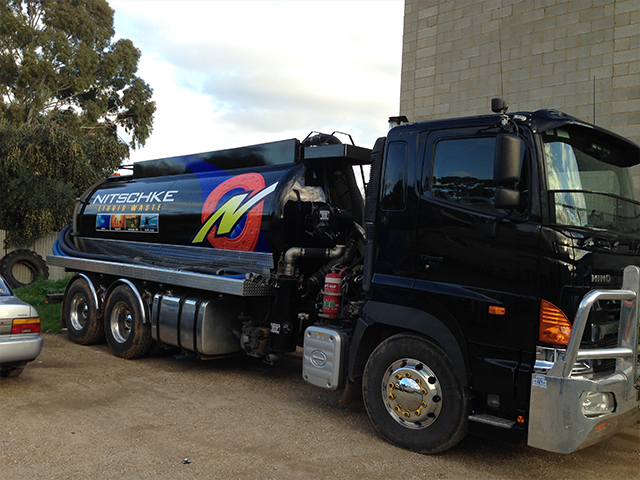 The smallest vehicle in the Nitschke fleet comprising of a 3000lt self-powered vacuum unit built by VTS. This unit is used for tight access situations or where the maximum weight must be considered. The truck is a modern euro 5 compliant 185hp 4 cyl diesel automatic. This unit has a capacity of 7500lt and is also used for situations where tight access and weight restrictions are involved. 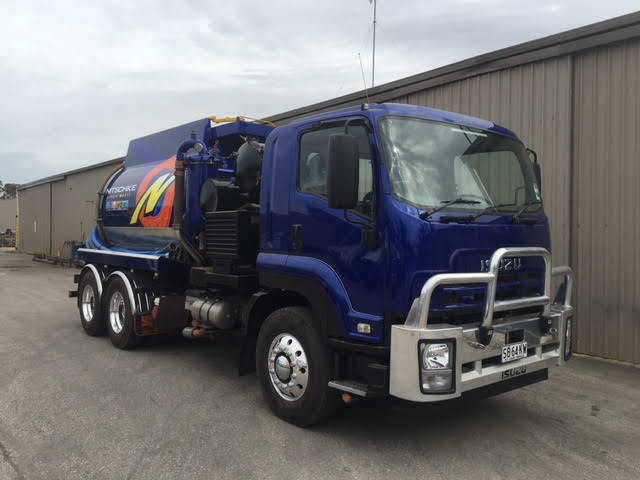 It was built privately in Mt Barker and features the super reliable magnum 600cfm vacuum pump for quiet hassle free operation. It is powered by a 260hp 5cyl euro 5 compliant diesel engine. 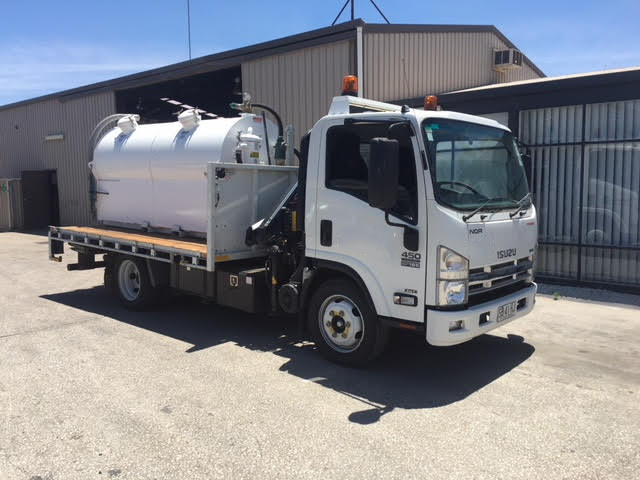 This unit has a 10000lt capacity tipping tank with a 450mm rear hatch for cleaning. It also has a 200lt water tank with pump and hose reel for washing out grease traps, septic tanks, etc. It uses a Pompetrivaini liquid ring vacuum pump which is almost silent. We use this unit for situations where noise is an issue or if silt and solids are going to be pumped. 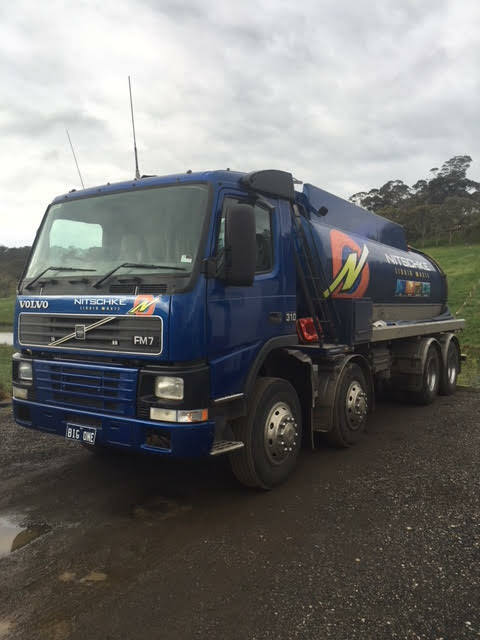 This unit is also built in Australia by VTS and is powered by a 295hp 6cyl euro 5 compliant diesel engine. 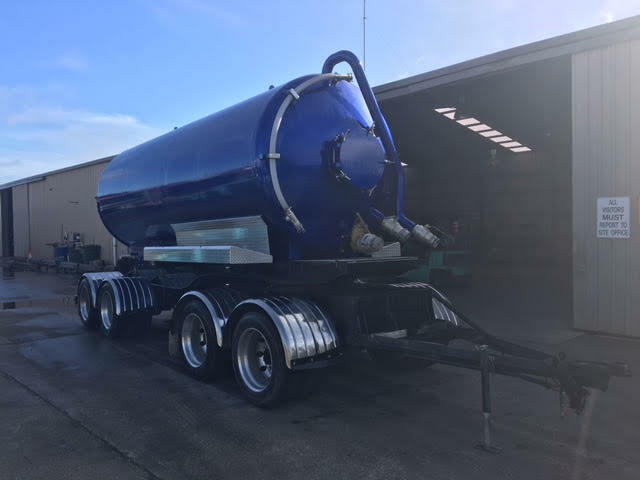 This unit has a 12000lt capacity tank and was built privately in Mt Barker also. It features a locally made RVS 900cfm vacuum pump, 350lt water tank with pump and hose reel. This vehicle is also used in conjunction with our 18000lt dog trailer and combined can carry a maximum 22000lt. Powered by a 440hp 6cyl euro 5 compliant diesel engine. 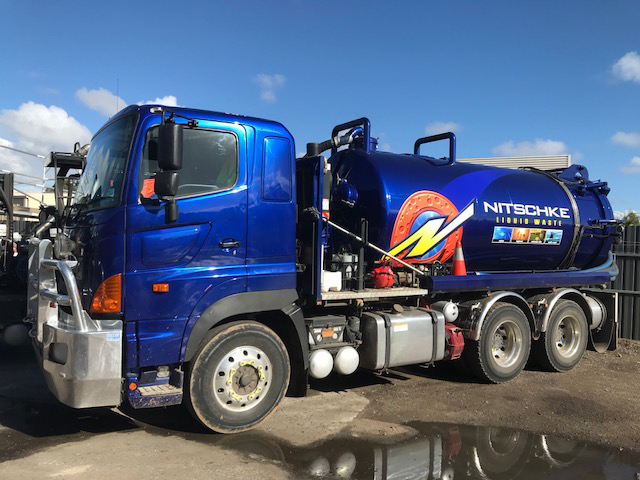 This unit features a 12000lt tipping tank with a complete rear opening hatch. It uses a Jurop vacuum pump and features a high pressure water spray gun. Currently in for fabrication and paint work this unit will be in operation before the end of the year. It is powered by a 480hp 6cyl euro 5 compliant diesel engine. This tanker/trailer has a capacity of 18000lt and is used for storage or bulk loads. 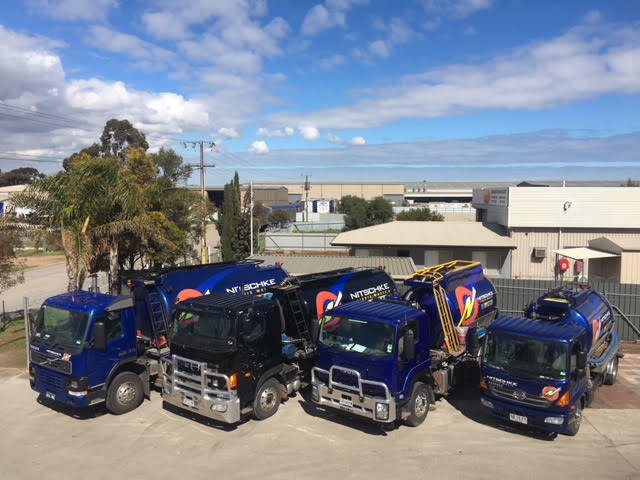 This trailer has a 18000lt capacity and was also built privately in Mt Barker.